Lancome is a brand that I’ve always shied away from. Their foundation doesn’t generally cater for South Asian skin tones so I was never been too keen, despite hearing great stuff about them. This summer to prevent myself from having my makeup melt off my face and looking awful, I’ve been trying to go foundation free. Unfortunately I’m too much of an eyeliner addict to give it up completely so instead have opted to switch to waterproof eyeliner. I love that it stays on all day but I really hate the scrubbing I have to do to remove it because I end up with the area around my eyes looking red and irritated. About a year ago, whilst I was really struggling with my skin and browsing in John Lewis for some inspiration, I saw a lady demonstrating how Lancome Galatéis Douceur Facial Cleanser Gentle and Soft Cleansing Fluid worked on someone. I was so impressed that I had to get some to try it out for myself. The bottle is unusually shaped but I like it. My only issue (as usual) is that it’s not very squeezy so when I’m nearing the end of the bottle I’m guessing there’s going to be a lot of shaking and tapping to get it all out. Luckily though, the consistency of the ‘fluid’ is a light milky formula which means that it’s quite runny but not too watery. In fact I’m starting to prefer the consistency over the micellar/water like makeup removers because the cotton pads I use with it doesn’t soak up the liquid; instead it helps to spread it across my face. I was able to take off the makeup from my entire face with two small squirts of the cleanser. Really pleased that a little goes a long way so I don’t need to replace it too often. The fragrance is the standard floral scent used in all their products (so I’m told by lovely Lancome counter lady). It’s a little bit strong for me and I think it smells like old ladies lol. Still, I wash my face after so luckily it doesn’t linger. I have sensitive skin so products with fragrances do worry me in case they start irritating my skin but I noticed no irritation at all whilst I’ve been using this product. 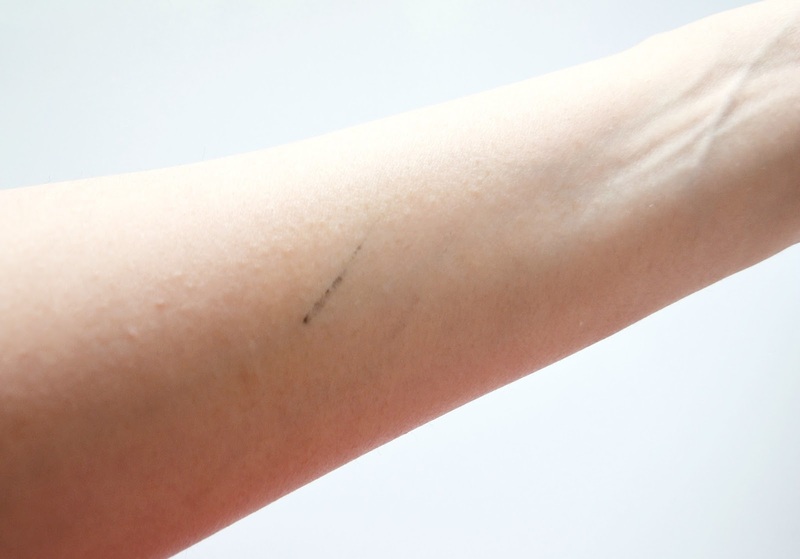 You can easily see just how well the cleanser removes the usual eyeliner in just one swipe. 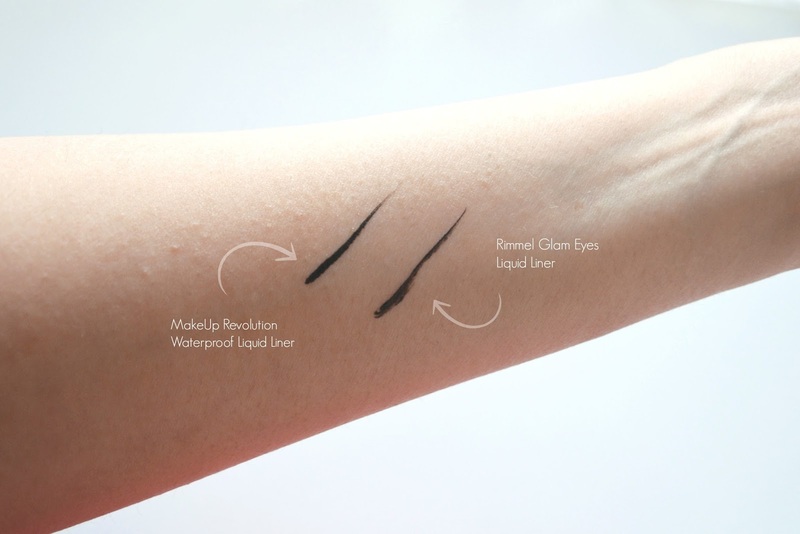 The waterproof liner however takes two swipes but that’s to be expected as this liquid liner does not budge! 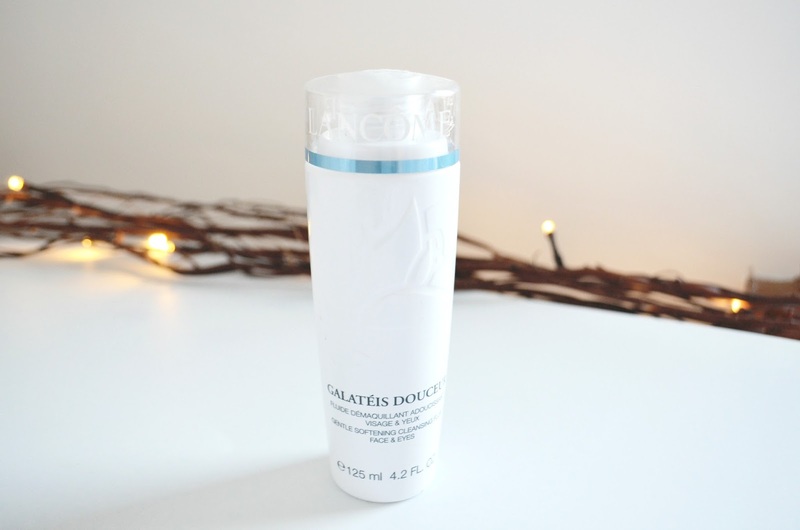 Lancome claim that this product is “A water-light lotion for fast, thorough cleansing that removes even the most stubborn makeup. Foundation, blush, mascara and lipstick all dissolve and disappear on contact”. Did it live up to this statement? Yes and No. Don’t get me wrong, it is a great cleanser, especially if you leave it on your face for a few extra seconds and then wipe off. It does remove waterproof makeup without irritation or excessive scrubbing, however it doesn’t exactly dissolve and disappear on contact as it states. Is it worth paying £36 for 400ml? Absolutely. Splurging on skin care is an OK in my eyes. Investing in decent skin care that works for you will prevent early signs of ageing and clearer skin. When I was using the waterproof eyeliner and kohl liner, I found that sometimes I’d get spots on in my waterline due to waterproof makeup not being removed 100% and blocking glands. After using Lancome’s cleansing fluid I’ve not had this issue at all and I’m confident that it won’t be a recurring problem anymore. What are your thoughts on Lancome as a brand?